At SOS Survival Products, we believe that preparedness is the key to conquering any emergency situation. By equipping yourself with the right products and the right knowledge, you and your family can prevent the unthinkable. If your family includes a pet, you'll need to take additional steps for preparation. If you have not yet planned for yourself, check out this blog post geared to help you get started. Your pet has basic needs similar to yours. Food, shelter and essential medicines will ensure that he or she will make it through an emergency alongside you. In addition, we offer a variety of products to help you ensure that you're prepared and well stocked otherwise. Our emergency preparedness products for pets include books, ready-to-go emergency kits and helpful accessories. During an emergency, time is of the essence. When disaster strikes, you'll need to know who is in charge of your pet or pets, what you will take and where you will go. Practice your escape plan with your pet in order to gauge how long each step in the process will take you. Is your pet skittish? Where are his or her most common hiding spots? Will your pet respond to food? 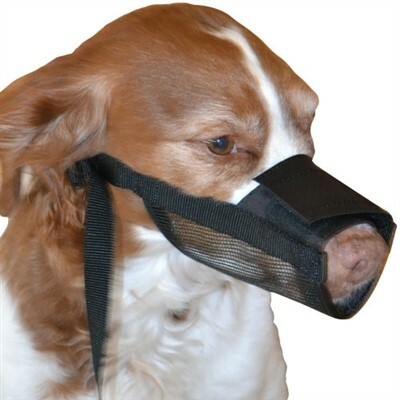 Is it difficult to confine your pet? These are all questions you should ask yourself when making a plan for you and your family. 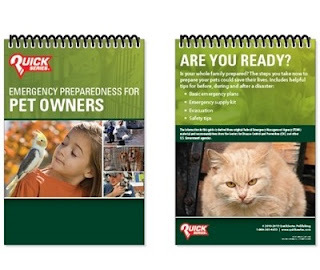 Our selection of books includes the Pet Preparedness Guide, an affordable pocket-sized book geared toward helping you create an emergency evacuation plan that includes your pet. This book provides helpful steps to assist you before, during and after a disaster. If you choose to purchase any of our first aid books, we strongly recommend that you and your family also enroll in a first aid and CPR preparation course for your pet. Courses like these are becoming increasingly more common, and can therefore easily be found through your local resources or here, if you reside in or near Van Nuys. Once you have solidified an evacuation plan, you'll need to prepare a go-bag for yourself as well as for your pet. You can purchase completed kits through our site here. 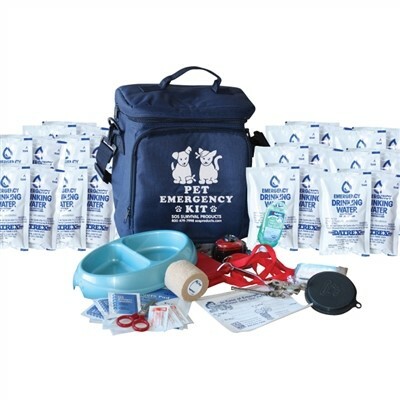 Our ready-kits include basics for survival such as water and blankets, as well as common emergency products including antiseptic wipes, gauze and eye wash.
To create your own pet evacuation kit, first make a list of your dog's daily needs. This list should include water, food, warmth and any medications your pet needs on a daily basis. Additionally, your pet may need to be confined, require a leash, identification tags and waste disposal bags. We recommend that you keep these items separate from the items you use every day so that an exit from your home can be swift and easy. In addition to the daily essentials, your pet's kit should include first aid equipment. The emergency kits sold on our site offer an affordable solution and provide products for a wide variety of emergency scenarios. Our selection of emergency accessories for pets includes harnesses, collars and leashes, tick remover, collapsible food bowls and more. Although you may already own all of these items, we simply recommend doubling up on essentials like these. As you prepare to leave your home, it's not uncommon for Murphy's Law to take over. Items can break or be forgotten, creating the potential for additional disaster. 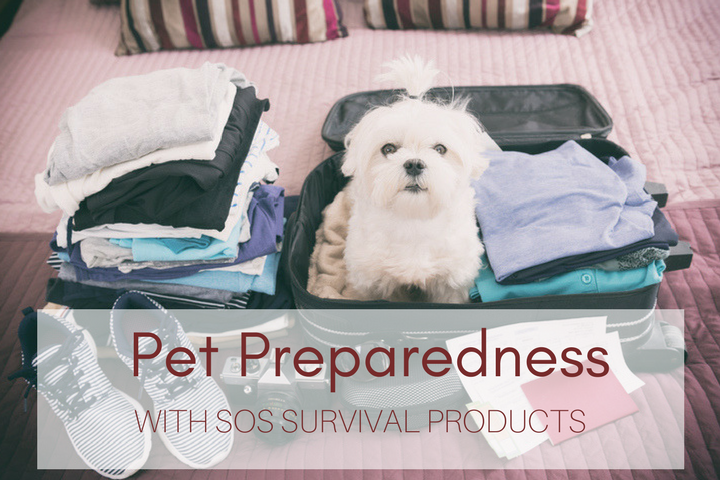 SOS Survival Products provides items and resources for emergency preparedness for your entire family, including your pet. If you don’t see something you’re looking for, contact us today.